Is CytoSport's Muscle Milk good for you? Getbig Bodybuilding, Figure and Fitness Forums > Getbig Bodybuilding Boards > Nutrition, Products & Supplements (Moderators: Princess L, Necrosis, Montague) > Is CytoSport's Muscle Milk good for you? I was reading the label, and it has 350 cal, 18g fat, 12g carbs, and 32g protein. Ive been using musletech Nitrotech for a while, was thinking about changing to something with some calories too.. But I dont know..18g of fat?? i thought it should have been better. I prefer real milk or an MRP. I just finished drinking one!! Re: Is CytoSport's Muscle Milk good for you? The product moves like crazy, there are 22 flavors available for the 2.5lb powder, and six flavors available for the drinks. Some of the bodybuilders that take it says it keeps their weight up and definition maintained and that they taste good. The fat is the good fat that people want. I consider it one of the best selling products of last year. ANyhow, i was debating on switching over to Musclemilk..dont know though..im looking to drop BF% and get in crazy shape..so maybe it snot a good idea- ill just stick too Nitrotech Muscletech or Designer (strictly protein)..
Thats the only way i can keep up with eating 6 to 7 meals. Ron, GmFlex- thanks, sounds like a keeper. I do love how it tastes, its so good even with just water! I moved more Muscle mIlk from my store than anyone. I made shakes too. Mix in a frozen banana and it is unreal tasting. But you have to be careful cause of the taste you tend to drink a few to many a day. the rtd chocolate and mocha are awsome. The Cookies N' Cream is my favorite. Two a day every day and if you think you are going to want some sweets later in the day these will take the place easily!!! They are great sellers, especially the RTD's. $3.75 a pop and they're selling like crazy. The chocolate has a hint of coconut flavor but you're right, it's pretty high in saturated fat. I started using Pro-Complex GAINER. Tastes great. Has 620 calories; 20 calories from fat. Has anyone tried this product?? Pro-Complex Gainer is the epitome of the emerging "lean gainer" supplement category. Unlike typical weight gain formulas, Pro-Complex Gainer derives a much higher percentage of its calories from protein. 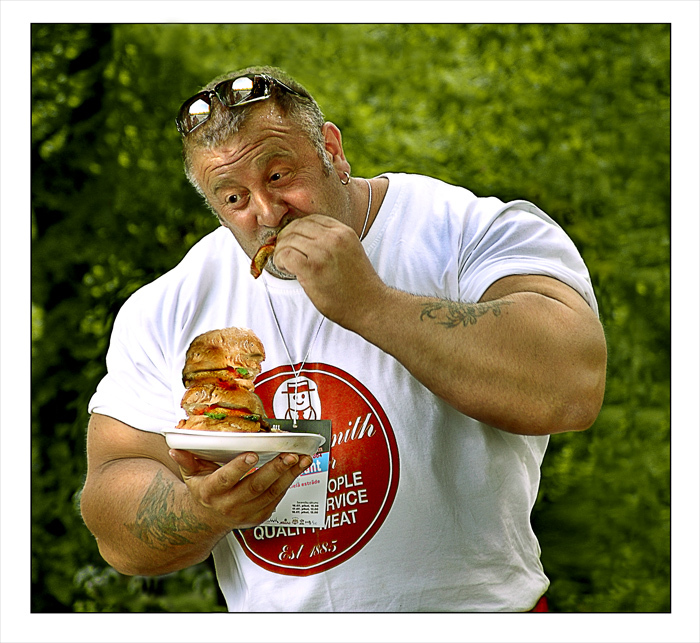 And, while some "ultra-hardgainers" require 1000, 1200...... even 1500 calories/serving weight-gain products, many athletes can gain quality mass with considerably less. So, in addition to calories, Pro-Complex Gainer provides a blend of 6 premium protein sources, complex carbs including dietary fiber, lipids, digestive enzymes, vitamins, and minerals. • 55 Grams of Protein from Whey, Egg, and Casein.